I have the most amazingly rich and chocolaty recipe for you! It is incredibly delicious AND flourless making this recipe ideal for gluten free and Passover use. 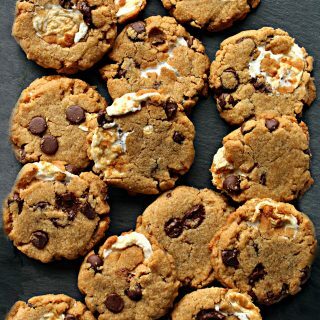 A variety of baked goods can be created using just this one recipe! 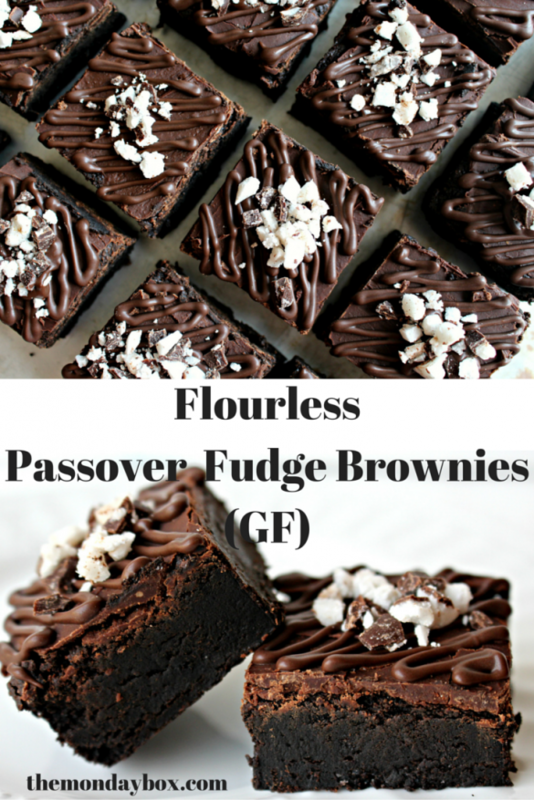 I am going to show you the three different chocolate confections I made, starting today with luscious Flourless Passover Fudge Brownies. Ironically, my daughter found out that she needed to eat a gluten free diet, shortly after I started The Monday Box four years ago. She was living at home at that time while she attended grad school. The constant barrage of baked goods wasn’t easy. At times it bordered on cruel and unusual punishment! I do bake things that she can eat, I just don’t usually include them on the blog. 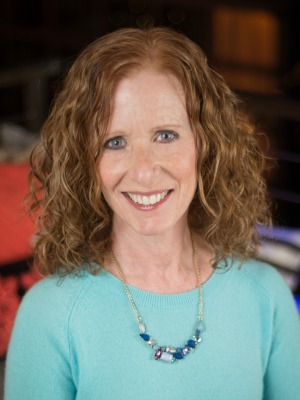 Passover baking is a chance to blog about some grain-free goodies that meet Passover dietary restrictions, and are care package friendly plus gluten free. Win,win, win! Flourless Passover Fudge Brownies not only fit into all of those categories, but are truly so chewy and chocolaty, you will want to make these over and over, all year. Forget flour in brownies. You won’t miss it. This recipe calls for a half cup of nut butter. I used either peanut butter or almond butter. Though I haven’t tried other nut butter varieties, I think any nut or seed butter could be used. Peanut butter provides a subtle flavor in the ultra chocolate batter. For some reason, the flavor stands out a bit more over time. If a more peanuty taste is desired, using additional peanut butter in a topping or frosting would help the peanut flavor stand out. I used almond butter for a Passover version, and the almond flavor was hard to detect if you didn’t know it was in the batter. Again, additional almond butter in a frosting or almonds in the batter or sprinkled on top would make the flavor more prominent. I took advantage of the hidden almond flavor to add different flavors that compliment the rich chocolate. I went with chocolate-mint for these Flourless Passover Fudge Brownies. 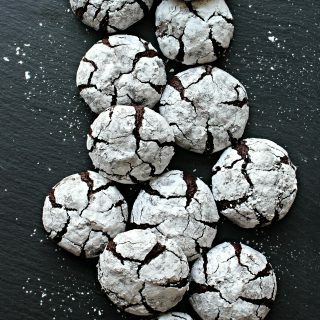 Passover flavor extracts are not easy to find, so I added mint flavor using Passover chocolate-mint patties ( for non-Passover use, any mint patties will do). One chopped mint patty was mixed into melted chocolate and spread over the top of the baked brownies. (Important: Don’t try to zap Passover mint patties. In seconds they bubble then turn crunchy!) Two more chopped patties provide flavor and pizazz sprinkled over a chocolate drizzle topping. 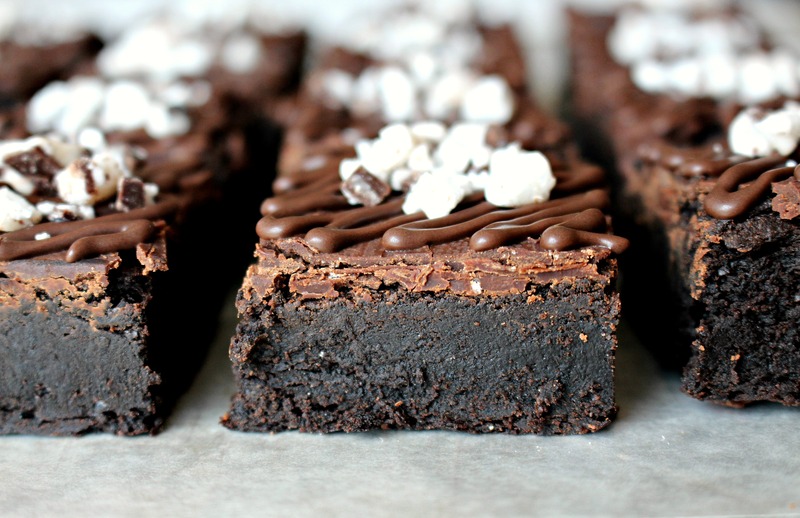 Flourless Passover Fudge Brownies are a chocoholics dream! They also travel beautifully ( mailed in cooler temperatures) and keep their chewy texture for up to a week. Need a dessert for your Passover Seder? Look no further. 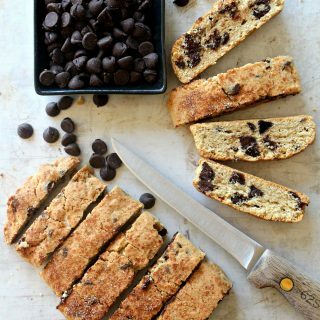 Unless, you would prefer Mocha Brownie Bites or Double Chocolate Biscotti using this same recipe! I will be posting those recipe directions in my next two posts. Preheat oven to 350° F. Line an 8x8 inch pan with foil and grease with nonstick spray. In a large, microwave-safe bowl, melt the butter, chocolate chips, and nut butter at 50% power for 2 minutes. Stir to combine. If not completely smooth, return to the microwave for 20 second intervals until completely melted. Add the sugar, eggs, cocoa, and vanilla and stir until smooth. Bake for 25-30 minutes, until a toothpick inserted in the middle comes out dry. A few crumbs are fine.Allow to cool completely in the pan. Once cool, lift out of the pan using the overhanging foil. FOR TOPPING: In a microwave safe bowl, melt 3/4 cup of chocolate at 50% power for 1 1/2 minutes. Stir until completely smooth. Stir in 1 chopped peppermint patty until melted. Immediately spread over cooled brownies. For easier cutting and less cracking, slice the brownies before the chocolate hardens completely. 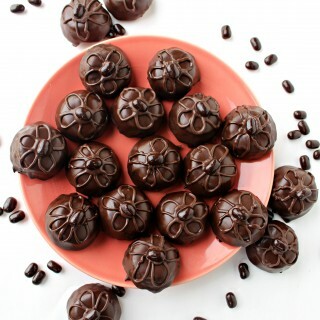 For the drizzle, place 1/4 cup of chopped chocolate or chocolate chips in a disposable piping bag or zip lock bag. Microwave at 50% power until melted (about 1 minute). Cut off the bottom tip and pipe zigzags over each brownie, sprinkling chopped peppermint patty immediately after drizzling each bar. Store at room temperature in an airtight container or zip lock bag for up to 1 week. Wrap individual brownies in plastic wrap and fit securely into a plastic storage container or zip lock bag. 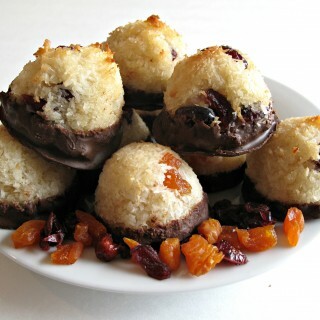 These baked treats are also gluten free and kosher for Passover. Click on the photo for the recipe. 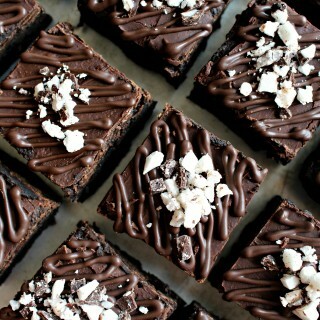 My favorite brownies are near flourless anyway so I’m totally behind this. These brownies look so moist and fabulous and the mint flavoring is always a big hit at my house. The use of the nut butter is so interesting, too…I love learning about that. Hope your daughter got to enjoy a big share of these! I’m sure your other creations using this base recipe will be amazing. Thanks, Monica! 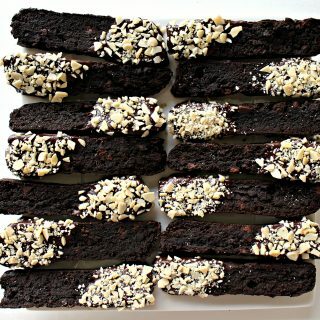 The almond butter is quite neutral in these brownies, so in addition to being a Passover friendly alternative to peanut butter, it allows for other flavor combos like chocolate-mint. I bet your favorite hazelnut would be great with this recipe too! I love flourless chocolate cake so I know I would love this too. The addition of nut butters is fascinating – I bet it is tasty! 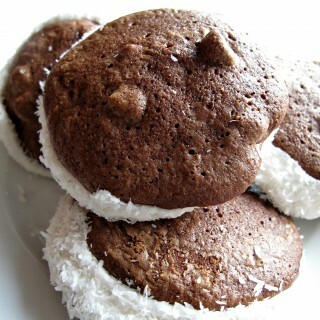 These look wonderfully dense and moist – a must try! Have a lovely weekend! Oh gosh I always feel that way when I’m home at my parent’s house baking for christmas! My mom and sister are gluten free but the rest of the family isn’t (so I always feel bad at all the treats they can’t have!). Although I do bake for them too 🙂 These brownies look so fudgy and fantastic! These chocolate flourless brownies look so god. I’ve saved this recipe. Can’t wait to try them. Thanks. Angie! I hope you enjoy them. 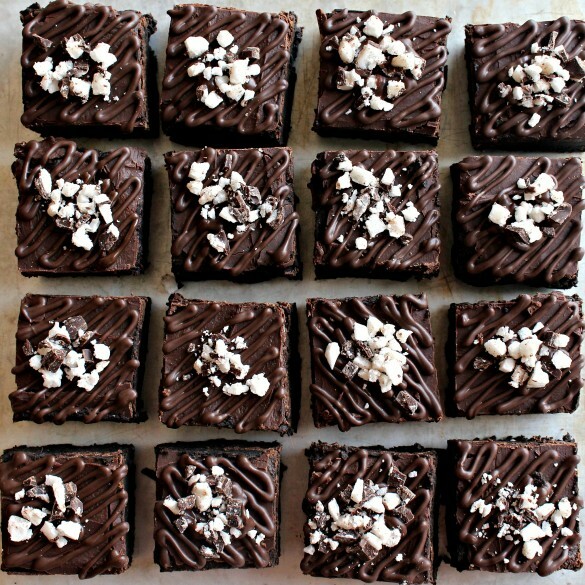 The brownies are ultra fudgy! Your Fudge Brownies are calling my name! Thanks so much for sharing with us at Full Plate Thursday. Have a great weekend and come back soon! 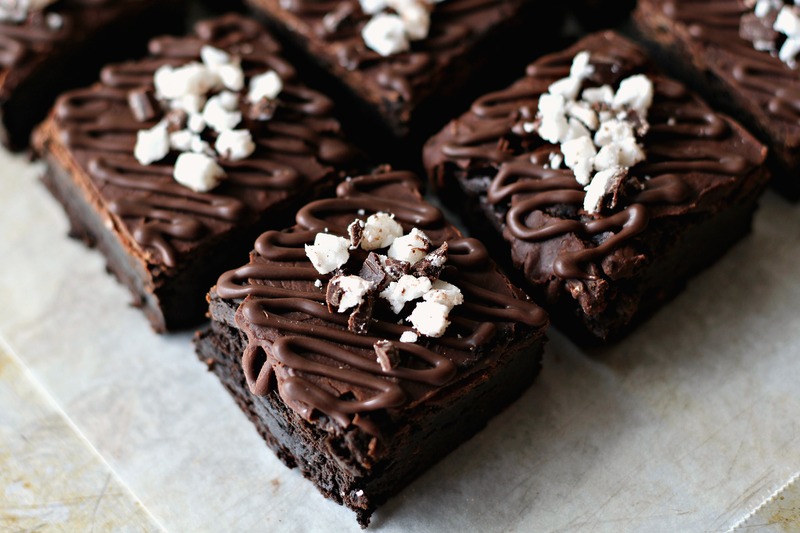 I’m partial to fudgy-like brownies, so this looks perfect! Pinned! 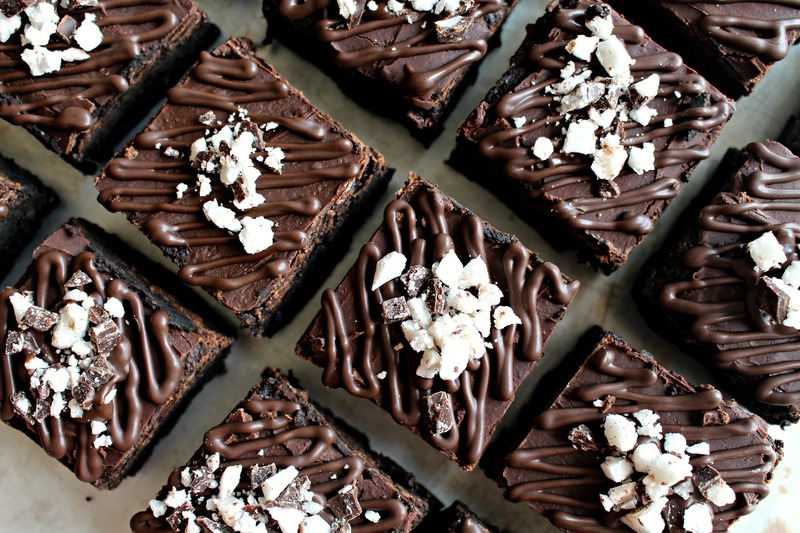 I’ve not tried flourless brownies, but these look amazing. I will have to try making some. These look AMAZING! Thanks for sharing the recipe. 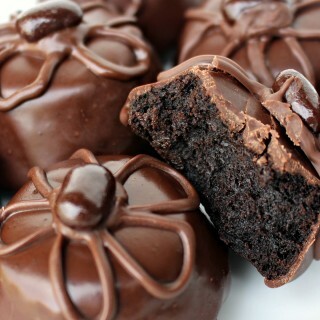 I’ve got my brownie-aholic sitting right by me telling me I have to make these, haha. These look amazing! Thanks for linkin’ up with What’s Cookin’ Wednesday! These look yummy compared to another flourless recipe I tried. I may have to try this type of recipe again! Just reading this post made my mouth water, Wendy, let alone looking at the photos! 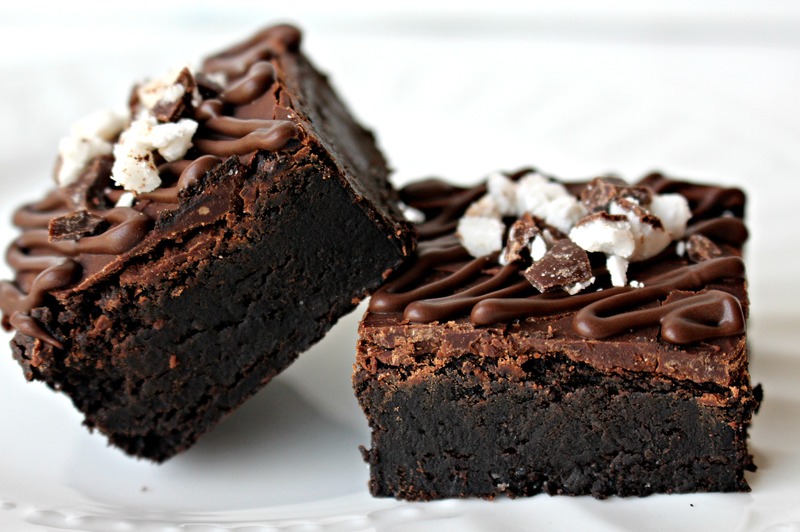 What a rich, luscious treat your Flourless Passover Fudge Brownies are. I can’t wait to give this recipe a try! Sharing later today on the Hearth and Soul Facebook page and scheduled to pin. Thank you so much for being a part of Hearth and Soul. Hope to ‘see’ you at the party later today 🙂 Wishing you and your family a wonderful Passover. Oh, my! I need one of these right now. They look decadent! Pinned and sharing. Thank you for joining us at Family Joy Blog Link-Up Party. I hope you will join our next party starting Sunday at noon EST. Hi Wendy! I’m featuring these delicious brownies, perfect for Passover, at the Hearth and Soul Link Party this week! Thank you for sharing them, and hope to ‘see’ you there!